Are you looking for a unique experience for one of your next group events? Jones Valley Resort on beautiful Shasta Lake welcomes groups of all types. 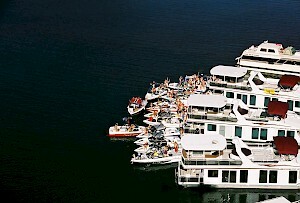 We have experience hosting large gatherings on our rental houseboats. From religious fellowship retreats, youth groups events, family reunions, to corporate team-building outings, we can help you organize and put together an experience your participants will never forget. Please call or email our experienced reservationists to assist you with pricing, selecting the optimum season in which to visit, and help guide you in understanding all Shasta Lake has to offer.